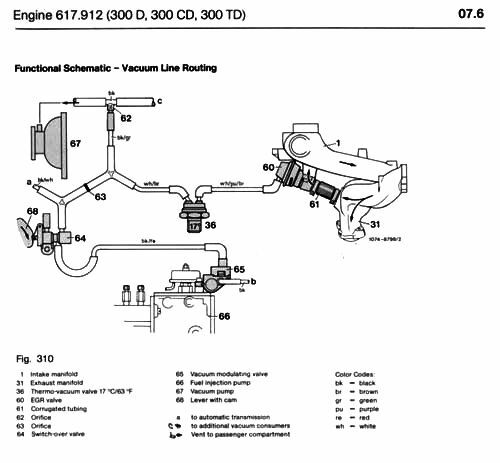 On many diesels the diagram was on a sticker mounted on the front core support of the engine as you see in this picture for a 1980 300SD. 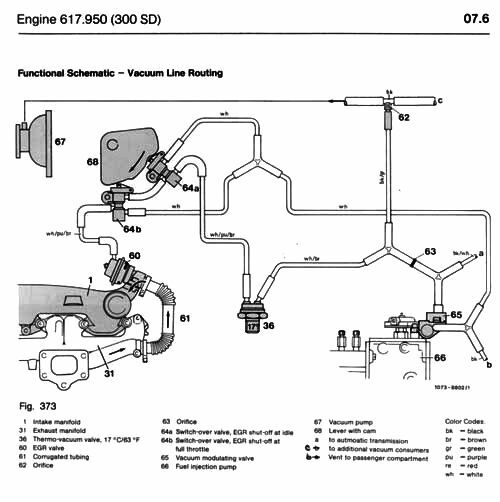 But these stickers do come off and you are stuck with finding the right information online or in a manual. 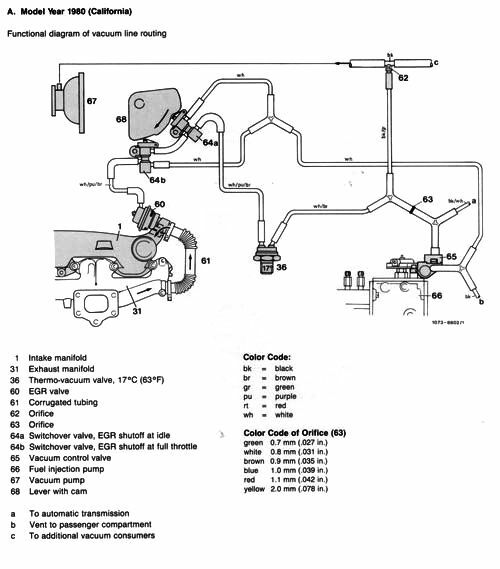 These diagrams may or may not help. 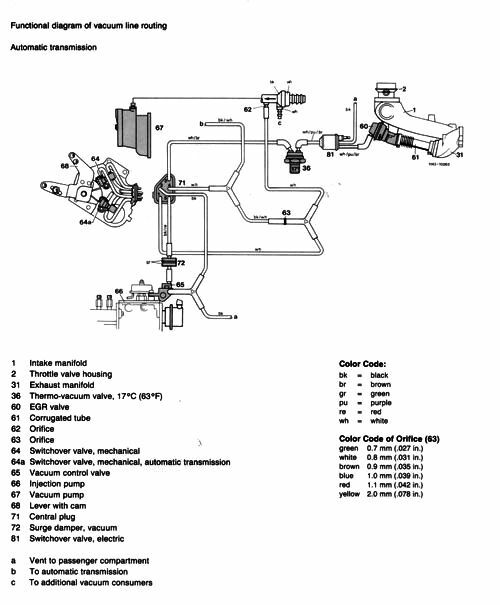 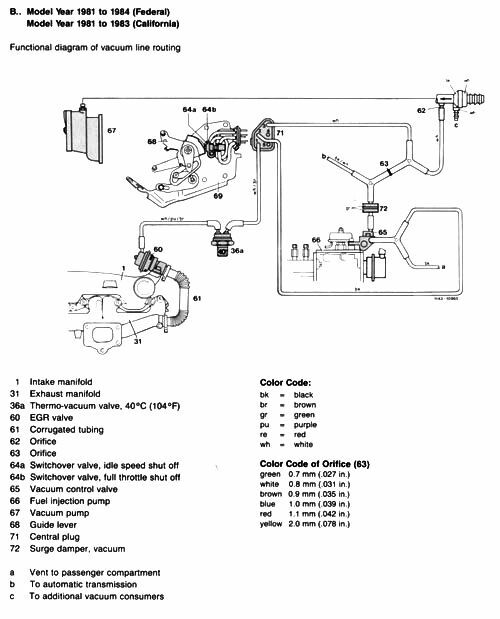 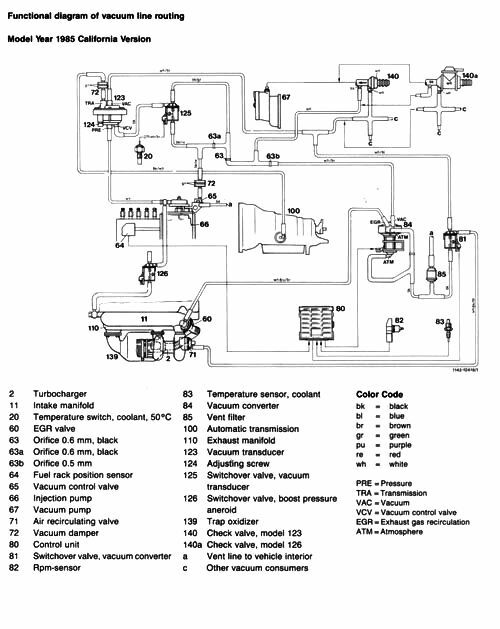 We also have a number of diagrams and vacuum troubleshooting information in Kent's manual.